Every year we dump a massive 2.12 billion tons of waste. If all this waste was put on trucks they would go around the world 24 times. 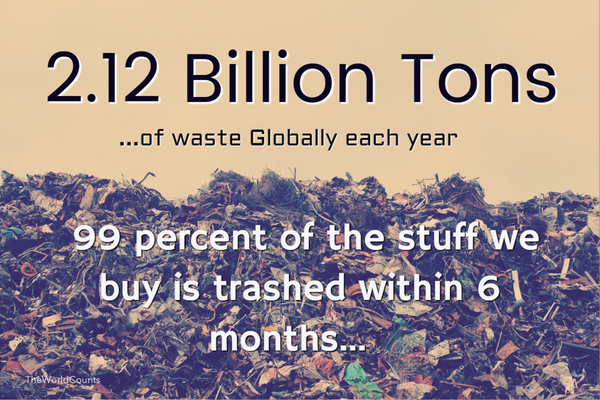 This stunning amount of waste is partly because 99 percent of the stuff we buy is trashed within 6 months. Leading green companies are becoming zero-waste companies. Zero waste is a philosophy that encourages redesign so that all products are reused. The process is similar to the way resources are reused in nature. According to the United Nations we dump 2.12 million tons of waste every year. Interested in more facts like the total waste dumped? Then plug in and subscribe to our newsletter.